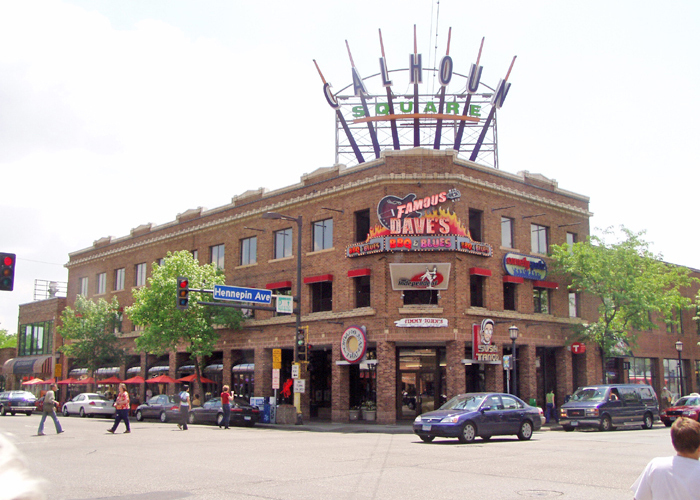 In the 1930s a WPA survey of foot traffic in Minneapolis found the corner of Hennepin Avenue and Lake Street to be the busiest in the city. Today the intersection is still a hub of commercial activity with small stores and restaurants lining the street and populating the interior of the newly renovated Calhoun Square shopping mall. The original mall complex was cobbled together in 1983 from several smaller buildings whose vintages range from the 1920s to 1940s. MBJ’s historical knowledge of structural engineering practices and materials was imperative to the success of this $24 million renovation, which required team members to combine a variety of structural systems, including steel and composite deck, load bearing masonry, and cast-in-place concrete, with current systems. The project involved removal of several primary building columns to accommodate a loading dock and open up the gym of a large fitness center on the second floor. MBJ also strengthened the floor framing to control vibrations and support additional loads imposed by the fitness center. A post-tensioned flat plate concrete structure was used for mid-rise portions of the building to minimize floor-to-floor heights and help reduce building materials and heated-space volumes. Other features of the project include a new three-story atrium space, a new mall entry on Hennepin Avenue, and the integration of architecturally exposed structural steel elements into the existing brick façade. The design team also explored options for potential LEED certification of the building, including green roof and reflective roof options, maximum re-use of existing building systems, and local and recycled structural materials for new work. Stores inside the mall remained open for business throughout construction.